If society collapses, one of the most important tools you can have with you is an amateur radio, or really any type of radio setup where you can broadcast. If you can somehow setup an AM channel that would be even better. You just have to make sure you are in a secure location and you can provide the necessary wattage for it. It may not be very helpful to you in a direct way, but in an indirect way, it will help you out in the long run. Get sets of walkie talkies with rechargeable batteries and a continual source of electricity to keep charging them. When people in your group split up, for example a couple people leave to go out hunting, it can be extremely helpful and SAFE to have continual communication. You can call for assistance anytime you need it. If you happen to find yourself in some kind of post-apocalypse battle, these things will also be tremendously helpful to coordinate your moves. It's hard to estimate how many radio operators will be up and running after the SHTF. 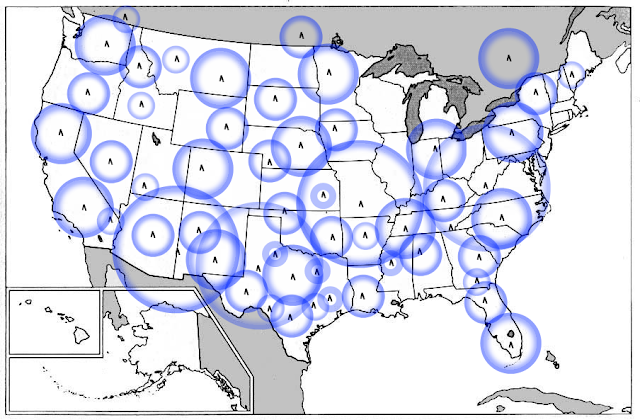 Right now there are hundreds of thousands of commercial radio operations and amateur radio operations in the US (sorry that all my blogs are US centered). Most commercial radio stations will no longer be safe or have electricity. I'm guessing that authorities will attempt to keep a lot of radio broadcasts going, but the stress of the collapse will eventually overwhelm the individuals that are keeping it going. They will have to leave town, or they will run out of electricity, the station will be burned down, or they will just give up thinking the world's gone to hell and they have no more important information to broadcast. There are many rural radio stations/towers, but how many of them have a renewable source of electricity? How many amateur radio operators will have a renewable source of electricity? And of course, if an EMP happens, common thought is that unless they are hardened, none of the radio machinery will work anyways. So from hundreds of thousands of broadcasts, we might have to widdle the number down to just a few. It's the intersection of amateur radio operators and preppers. How many of them are out there, who also live in a secure location with a renewable source of electricity? My hope is that there will be enough that they can span the country with their broadcasts, so that there can at least be the potential of spreading news from one end of the country to the other in a relatively short time. So, let's say you happen to be one of these prepper amateur radio operators. Congratulations. Consider yourself to be in a priveledged position. You also have a big responsibility on your shoulders should you choose to fulfill that role. You'll have the opportunity to talk to other radio operators out there. There are so many great things about this. 1. It's comforting to know there's someone else out there. It will be a strange type of companionship that will do wonders for your mental state. 2. You can learn tips from them on how to survive. Vice versa. 3. You can tell them about your situation and about all the people in your group. Vice versa. 4. You will be able to form an alliance with him and his group. You might be so far apart that the alliance doesn't have any practical meaning, but it's still good. 1. YOU CAN HELP THEM. Altruism will not die right? We still want to help others out. You will probably have a lot of valuable information to teach to others. 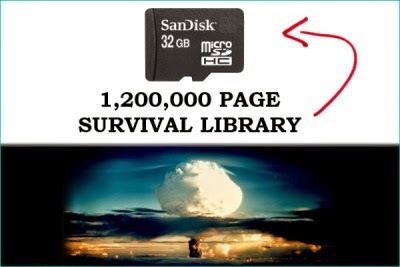 If you get a Survival Sage MicroSD, you will be able to teach people over the radio about nearly any topic. You can become like the wise survival mentor over the radio waves. You can teach people how to purify water, what wild plants are edible, how to grow crops, how to avoid the bad people, how to stay warm in the winters, etc. The people listening will be eternally gratefully to you. You could literally save lives! In addition, the more people that you can teach to be self-reliant, the safer your area will be. If you teach them how to live off the land and do well, that will in turn, quicken your area into a stable economy where security and trade is established. You and your radio covered area can become a shining beacon of hope for others struggling to survive. 2. YOUR LISTENERS CAN BECOME PART OF YOUR ALLIANCE. If society collapses, there will likely be gangs that rise to prominence. It's almost inevitable that bands of survivors will clash with these groups. After a year or two of laying low, you will want to quickly form alliances to stand against any gangs or warlords. It's difficult to form practical alliances over the radio, partly because you probably won't want to give away your position for people to find you, but you can still establish a level of collectivism. Speak often about the groups of good survivors who have to come together to create a better tomorrow. 3. MEETING YOUR LISTENERS COULD BE POSSIBLE. It would be difficult, but if you want to attempt this, you can. Here's what I would do. I would tell everyone that I am going to lower my wattage output for awhile, because I want to send a special message only to people within a few dozen miles of me. (I think this is possible.) I would proceed to do so, then announce, "I am surviving well, and I want to help the rest of you, so I am going to hand out a few extra survival supplies in 3 days. I will have some fire starters, seeds, alcohol, and bandages to give out. The location will be 400 yards east of the intersection of HWY58 and Muloff St. (Try to choose a place that has a slight clearing and where you can get set up in a position a few hundred yards away and still see the area to stake it out.) Only come if you live within 5 miles of this location. If you live further than 5 miles from this location, don't travel there, because it might be too dangerous and I will be doing multiple hand outs in different locations. Next week, I will do handouts and meetings near Miggsburg and Layerville. The following week I will do handouts and meetings near Kittsville and Covington. I will continue to do more to help our communities out. So again, only come if you live within 5 miles from this location. Now, here's the ground rules. You are free to bring your weapons, but under no circumstances are you to raise your weapon or point your gun at another person on meeting day. Do not fire unless fired upon. That goes for everyone there. We want everyone to be friendly and behave themselves. Maybe nobody will come. Maybe 5 people will come. Maybe 50 will come. I don't know, but I'm looking forward to it." (In reality, this does have the potential of drawing bad people as well as good people, so it's dangerous, but maybe a good risk.) I would go to that location 1 day prior and hide a cache of some of the survival supplies in a location near the meeting point, but not there exactly. Then I would go into stakeout mode. I wouldn't want to actually show myself until I see what kind of activity it draws. I would be in my ghillie suit watching with my spotting scope from afar. I would also have a friend at another location doing the same thing and I would be in communication with him using the walkie talkies. If nobody shows up, I would repeat the same kind of message the following day and announce that this time, if you live within 10 or 15 miles, you can come to the handout/meeting. (Or I might try a different location). If a few people show up and they don't look threatening, you can meet them using something similar to my guidelines for meeting people in a neutral zone. Or alternatively, if you have your radio nearby, you could just send a message to them over the airwaves, saying that you couldn't make it, but you were glad that a few people showed up. This is assuming they have a radio with them, which they probably will. Then give the directions to the supplies and ask them to divide the supplies equally amongst themselves according to how many people are actually there. Tell them that you would like to actually meet them in the future. This general method could be used, but I kind of think that doing reconnaissance missions around your area would be a better way to make friends. 4. ENTERTAIN PEOPLE. Have lots of music with you that you can play for people; all different genres. It will be a major uplift for a downtrodden society. Have recordings of radio skits. (Not sure what they're called, but they used to have these before TV. It's basically drama that you only hear it and have to use your imagination.) Play sermon podcasts on Sunday morning and Wednesday evening. Read from the Bible. Read stories to people. Have some literature with you. Children's stories would be great for this. Not everything should be catered to adults or others who are exactly like you. Do some fake news from time to time just for fun to remind people of what life was like--"traffic is backed up for miles on the 405 as your rush hour gets started today...". Play recordings of familiar voices--Rush Limbaugh, Jay Leno, John Madden. Podcasts of stand up routines would make for GREAT comic relief. 5. ESTABLISH YOURSELF OR YOUR GROUP AS A LEADER. Tell people your name (could be real or fake) and the name of your group and what you stand for. If you reach thousands of listeners, at some point in the future, it could help people trust you, because they've been listening to you on the radio for a long time. Don't let the popularity go to your head though. Use it for good. 6. BE CONSISTENT AND CONSIDERATE. I recommend having a schedule and sticking to it, that way people know when to listen. For example, broadcast every weeknight at sunset. The first 10 minutes will be the most important information. That way, people who have limited battery supplies can tune in for just that time, so they get the most out of their battery lives. And then you can organize the rest of the time. 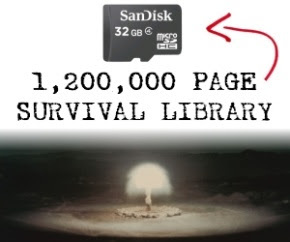 Next 20 minutes will be survival information and tips. The next 15 minutes will be music and the final 15 minutes will be random thoughts or some kind of entertainment. It will be a struggle to continue the routine on a daily basis. You will be tired from a day working in the fields and it might seem like there's nothing in it for you to broadcast every night and you don't even know who is listening. But stay encouraged and stick with it. 7. DISTRIBUTE EMERGENCY RADIOS. If you plan on broadcasting after the collapse, I would spend a few hundred dollars extra to buy some radios to distribute. If you come across a group of people who you want to listen to your messages on the radio, give them a spare radio if they don't have one. This will increase your audience, help your area develop, help with alliance building, and also give you motivation to continue to broadcast, because you know some of the people out there who are listening to you and relying on you to help them through the radio waves. When I started to write this, I just wanted to highlight some of the major points about survival radio communications, but I think I have also succeeded in developing a case for the need for preppers to get their own radio unit. Go for it!